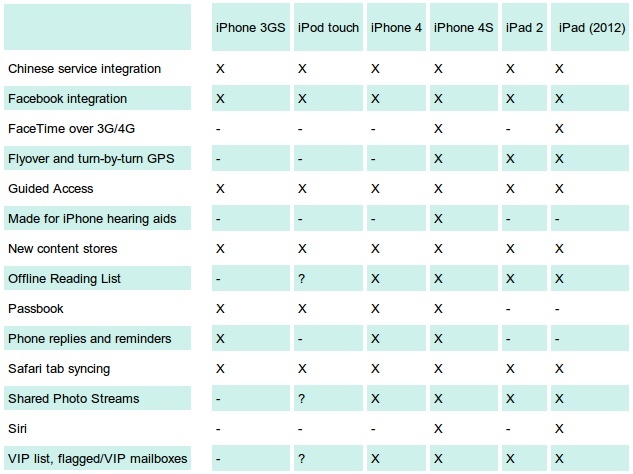 With Adoption of iOS 6 Apple gets Fragmented! 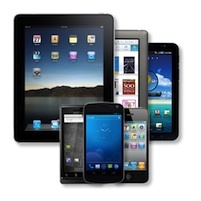 We recently wrote about how the launch of the iPhone 5 and the iPad Mini, each having a different form factor than their predecessors provides unique challenges for a QA tester and developers who are trying to keep up with the onslaught of new devices into the market. Android who has been the king of fragmentation due to it’s open OS and overwhelming OEM development has had to deal with this for some time. This is new for Apple while rarely changing it’s form factor since it’s launch of the iPhone in 2007. But as the devices have changed, so have the operating systems supporting them. 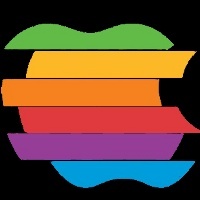 With the launch of the iPhone 5 and iPad Mini came a new OS – OS 6. This new OS provided new challenges as it could now be leveraged by carriers and partners to be customized to provide competitiveness and flexibility for their users. In a recent article entitled “iOS 6 “fragmentation” detailed: which device gets what” the author writes “‘Fragmentation’ is a word heavily loaded against Android and a term a bit too broad for our liking. It’s true that software updates on Android devices often arrive too late, but this depends on the carrier, it’s also true that some features are available on certain devices and not on others, and on and on, but using the general term fragmentation blurs those issues and writes all Android devices under a common negative denominator. So far, Apple has been particularly proud of its “non-fragmented” operating system and lineup, but it seems that this concept broke with iOS 6. Hidden in the fine print of iOS 6 new features and updates are some staggering inconsistencies across devices – certain features are reserved for the newer devices and will never allow on older models. If that’s not a perfect example of something begging to be labelled with the same vague word “fragmentation” than we don’t know what is. Netflix’ issues are not new and are not specific to Netflix. Anyone looking to test their apps or websites MUST perform real-world, real device testing before release AND after it’s launched to support forthcoming updates. 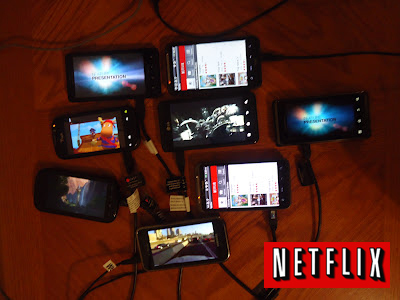 Netflix has chosen a way that works for them that has potential flaws, in that it can easily miss most of the device OS ecosystem if they don’t test on a certain device or platform. And as budgets and efficient-driven teams demand, utlizing mobile test automation software is key to their strategy. Keynote, with it’s acquisition of DeviceAnywhere has developed several tools to address these issues helping thousands of companies become more efficient and enabling them to centralize their testing efforts while maintaining dispersed, cost-efficient development teams around the world. 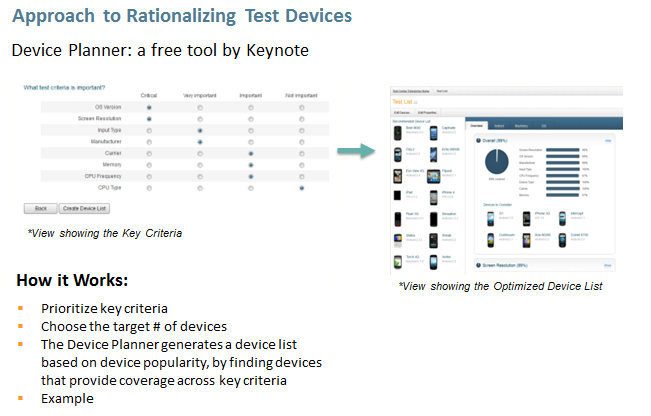 With DeviceAnywhere Test Planner, QA managers and developers can get free assistance on determining which devices they should test on that will provide them the widest coverage while testing on the lowest number of devices, providing the ultimate in efficiency and planning of any new rollout. Keynote also offers automated mobile testing with it’s TCE – Automation platform – leveraging the latest HTML5 web-based coding for ease-of-use giving you the flexibility of running the same test across any HTML5-enabled device or tablet. No more need to ship devices around or leverage agent-based systems whereby one does not get a true experience from the consumer’s perspective, resulting in potential pitfalls for the developer and in result potentially affecting revenues. 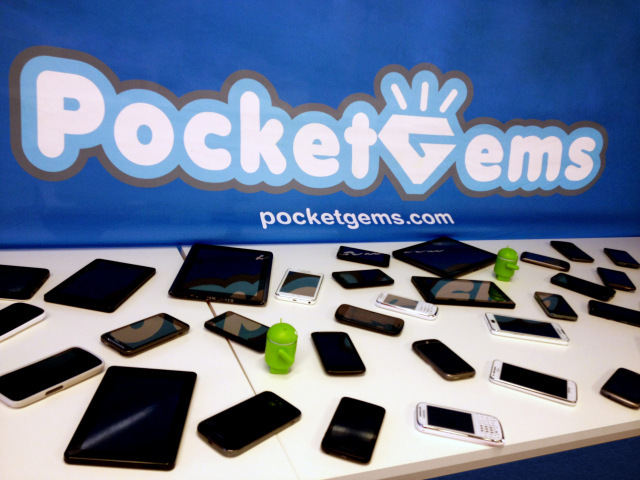 The Android OS – the Ultimate in Device Fragmentation? 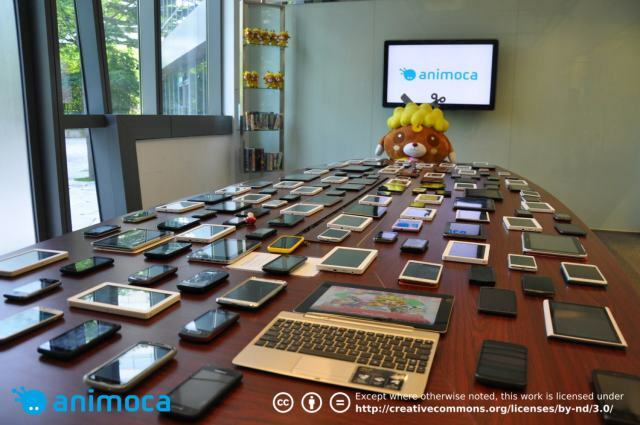 She continues .. “The photo above is just a sampling of Animoca’s fleet of Android test units. Yat Siu, who is CEO of Animoca’s parent company Outblaze, snapped and posted it from Outblaze’s headquarters today. In total, Siu says their studio has detected about 600 unique Android devices on their network. On top of that, Siu said that the number of handsets from the lower-end Asian manufacturers is also growing rapidly. These are the phone makers that Nokia chief executive Stephen Elop was probably talking about in his famous “burning platform” memo when he said that are Chinese OEMs were “cranking out a device much faster than, as one Nokia employee said only partially in jest, ‘the time that it takes us to polish a PowerPoint presentation.’” If you take those out, the actual number of devices you need to test for is much lower. At Keynote, we see this all the time. Our customers tell us of the pain of having to manage libraries of real devices and the vast variety of OS versions even just within Android, let alone iOS, BlackBerry, or Win 8. Developers who started with one or two devices a few years ago are now up to 20-30 today as seen in this image from another developer – Pocket Gems. They had two of the 10 top-grossing games on iOS last year, according to Apple’s iTunes Rewind. To learn how you too can benefit from access to real devices from anywhere in the world, eliminating the need to maintain your own library or even having to ship devices around the globe, check out Keynote’s DeviceAnywhere platform and we’ll even get you started with THREE free hours, TODAY! To read more of Ms. Cutler’s article click here. Is Apple Dominating the Mobile Enterprise Market? In a recent article by Jonny Evans of CITE World, it would appear that Apple is starting to dominate the enterprise marketplace. For years, this was a market long-held by the king of enterprise devices – BlackBerry. However since the iPhone and it’s worldwide acceptance amongst consumers and since organizations have seen an explosion in employees bringing their own devices to work and deploying work-based apps on them it is no shock that it’s dominance would make it’s way into the enterprise. The permeation of the Android device has also made its way into the enterprise, resulting in a battle over the mobile enterprise marketplace. As an example, CITE recently discussed how PepsiCo took a chance and gave iPhones to 4,500 hourly employees — and it’s paying off. Even at Keynote, we have seen an increase in request for iOS devices for testing of internal enterprise apps by our DeviceAnywhere customers. Appcelerator and IDC surveyed 3,632 Appcelerator Titanium developers in May, asking them about their development priorities. They found that Apple now holds a 16 percent lead over Android when it comes to OS deployment among enterprise users: a huge hike since Q3 2011 when both mobile operating systems were tied. 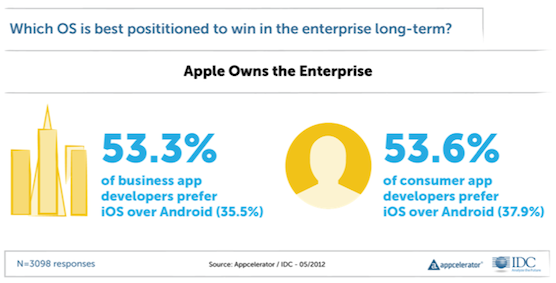 Fifty-three percent of developers say iOS will win in the enterprise, while just 37.5 percent side with Android. Reports of enterprises re-evaluating widespread Android deployment outside of particular business vertical implementations like Machine-to-Machine (M2M). Time will tell if Microsoft’s Windows 8 platform takes off as they attempt to extend their enterprise dominance with Windows to mobile. 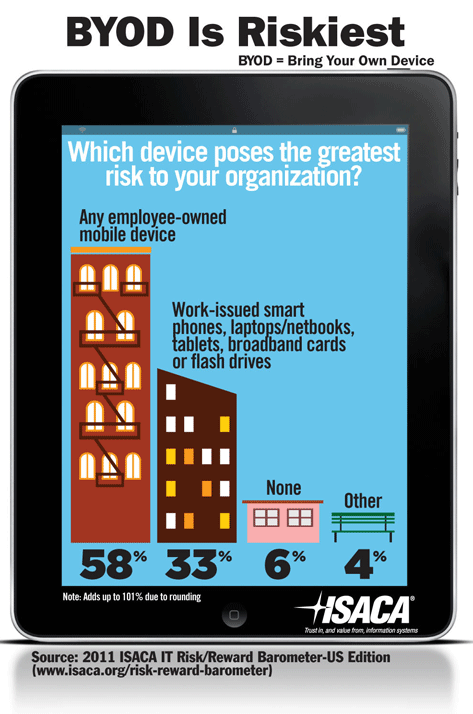 BYOD has presented many challenges specifically to the enterprise. Enterprises have a new challenge of managing employee devices that contain external (personal) applications combined with an organizations internal system. Many times an internal CRM app can cause conflicts with outside apps, causing them to not function properly or making them susceptible to security breaches. This puts pressure on IT teams to constantly troubleshoot new issues so that workers can maintain efficiency. While it remains risky (see infograph), employees continue to push the boundaries forcing their organizations to be more efficient and in return making them more effective employees. Recently, BlackBerry launched their newest device, the Z10 which includes the ability to run enterprise apps and personal apps on the same device while protecting the enterprise’ network at the same time. Called, “BlackBerry Balance” – it is a feature aimed at corporate users who want to keep their work and personal lives separate – on their phone. It allows users to store apps and data on two distinct profiles – Work and Personal. Users can easily switch between the two profiles and users who bring their device to office can easily format the Work profile when they switch jobs without having to change any setting in the personal one. This is an interesting attempt at trying to address this issue as BlackBerry fights to maintain relevance in the enterprise marketplace. In addition, the introduction of BYOD has increased existing pain points for internal IT teams and increased the need for solid mobile app performance. IT teams are challenged with meeting the needs of the enterprise and integrating internal systems with personal devices that could have conflicting programming. The ability to testing enterprise applications on real devices to determine bugs and conflicts becomes critical. Fragmentation has always been a difficult issue, but new complexities have been introduced with the proliferation of mobile devices. Many companies are challenged with figuring out how to monetize mobile assets for all types of devices in a cost-effective and efficient way. Although there has been a reduction of mobile OS’, the number of device types for Android and iOS is increasing. With Android being an open platform for developers, it introduces inherent differences in the functionality and performance of each device. For iOS, while there is less platform fragmentation, the introduction of the iPhone5 presented a new difference in form factor (screen size) from its previous models, adding to the complexities of fragmentation. This device diversity creates a steep challenge to stay ahead of the curve in the today’s mobile market. Not addressing these issues can mean the difference between a successful mobile launch and wasted resources for broken applications. Testing is critical and choosing the right devices is essential. To maximize your device coverage in the most efficient way check out the free Device Planner by Keynote’s DeviceAnywhere platform. With it, you can target the right devices and platforms for your mobile apps, websites, or services. Aricent Group, a global innovation and technology services company, working closely with Keynote, has developed a flexible, best-of-breed testing environment for a Tier 1 mobile network operator in the UK. This operator and other companies can now have complete visibility into how their applications and services run – in this case ten different real mobile devices running over 1,350 test cases, with growth expectations to top 3,200 test cases in the near future. The Keynote-Aricent partnership has succeeded in removing the time-consuming process of manually testing each software update, or each new device, therefore reducing human error. By creating an automated testing environment to the operator’s specifications, testing is done by simply pressing a button. Furthermore, the automation process clearly demonstrates the impact of different software upgrades and new features in order to create the highest level of service and quality. Keynote’s DeviceAnywhere cloud-based platform allows companies to test mobile apps, websites and services on devices remotely – regardless of location or time – enabling operators to speed up their delivery without compromising on quality or reliability and therefore mitigating risk.